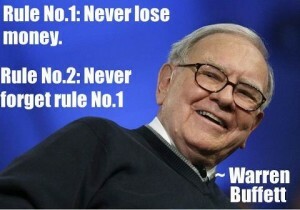 Advice from Warren Buffett comes in various forms. Some are made up while others are direct quotes. This particular piece of advice comes from a TV commentator who interviewed Warren Buffett and summarized his comments. It sounded really good to us so we decided to include it in this post for our readers to review. There are other posts that you might want to review as well which cover his advice over the years. Feel free to check them out. As always if you have comments, please leave them. Our readers will appreciate different points of view. That is the trouble with most people today. They are too impatient and not willing to wait. Many investments, blue chips that pay good dividends are not going to provide the get rich quick schemes that consumers look for. However over 10 years, these stocks usually grow and they pay dividends all of the time. Reinvest those dividends and combined with growth you will usually do very well if not better than many indexes. There will also be upticks and down ticks in the stock market. Being patient with good quality low risk blue chip stocks usually pays well. They always seem to return to their previous highs and even higher.